The GESAB´s internationalization plan is reflected not only in the projects undertaken worldwide, but also in the participation in international events and tradeshows such as ISNR Abu Dhabi, where GESAB will attend this year and show two of its most innovative control consoles: Advantis NG and ADN+. Abu Dhabi has become one of the most important cities in the world for doing business and, specifically, in its commitment to safety adn security. In this context, the next April will take place ISNR Abu Dhabi International Fair 2014 (International Exhibition for Security and National Resilience ), where GESAB bring all their knowledge in the conceptualization, design and implementation of control and decision rooms and in the field of security, 24/7 environments where operators require very specific characteristics in terms of ergonomics, functionality, flexibility and adaptation to their needs at all times. Design and technology for security. 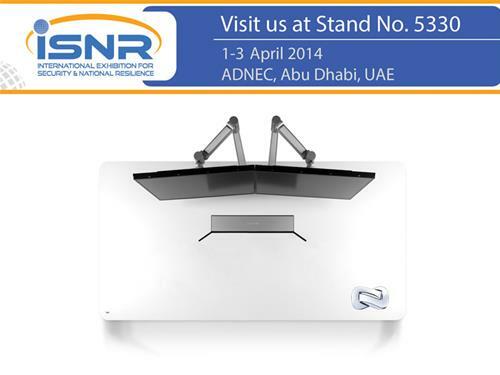 ISNR Abu Dhabi 2014 has grown exponentially in recent years and this year its international reach is greater than ever, to the point of being organized in collaboration with the Ministry of Interior of the United Arab Emirates. According to a study conducted by Homeland Security Research Corporation, security spending will increase in coming years in areas like equipment and critical infrastructure security systems. Europe, Middle East and Africa are the regions that lead the industry with an estimated growth in the global business of safety and security of USD 443.8 million. These regions account for 41.6 % of the market, spending being particularly high in the Middle East and Africa, due to the high movement of people, the airport expansion , growth in the construction and the incessant activity of oil and gas.